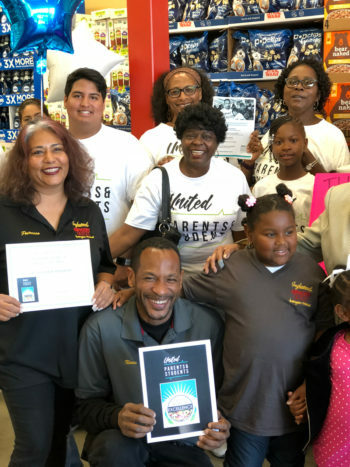 Public school families and others created the United Parents and Students’ Store of Excellence Award, which aims to reward stores selling better and healthier food. This past August, an advocacy group comprised of local public-school families from Inglewood, South Los Angeles, and East Los Angeles held a celebratory shopping day at a three-month-old Grocery Outlet franchise. 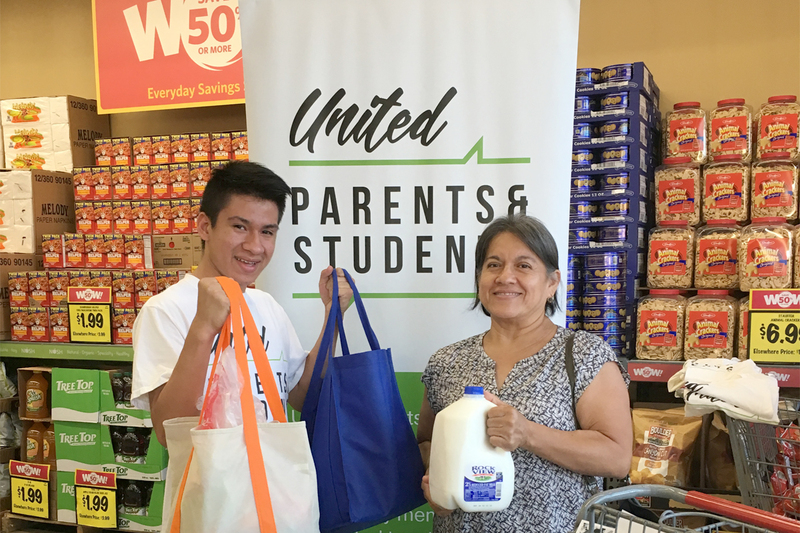 Some 75 families from the group, United Parents & Students (UPAS), along with a host of other locals, descended on the Inglewood store, boosting its sales for the day; the store also gifted one UPAS family with free groceries. The event feted the Inglewood store’s second month as a “Store of Excellence,” an honor that commended them for things like being clean and clean-smelling and carrying several kinds of fresh produce. And while this may seem like a low bar, the award grew out of a deep, abiding, and multi-tentacled history of food injustice in certain underserved parts of Los Angeles County. There, residents have long had to rely on a preponderance of small stores for a limited selection of often-sour milk, stale bread—what’s dark-humoredly referred to as “green meat and brown vegetables”—and, more dependably, soda and beer, pork rinds, and candy. UPAS, which is funded by a mix of philanthropy and service contracts, has 12,000 member volunteers dedicated to strengthening their communities as well as 12 full-time paid employees. In 2017, its food justice committee developed the Store of Excellence award to incentivize its neighborhoods’ few grocery stores to either improve or, in the case of new outposts like the Grocery Outlet, remain satisfactory. Their efforts represent a renewed fervor among frustrated citizen activists to claim “the power to make changes themselves,” says Veronica Toledo, the organization’s associate director. “These families know they deserve high-quality, nutritious food”—food that has been unavailable in their communities for more time than anyone cares to ponder. Californians living in whiter and better-resourced areas may take for granted a ubiquity of pristine Trader Joe’s and Ralphs and specialty grocers. But these stores have rarely been willing to set foot in L.A.’s lower-income neighborhoods, claiming they don’t fit their demographic. Instead, these neighborhoods have experienced a preponderance of liquor stores, often hubs for crime and vagrancy that in 1992 bore the brunt of community ire during the uprising that followed the acquittal of police officers in the beating of Rodney King; an estimated 200 were burned to the ground. To many residents’ relief, the city imposed health and safety mandates that effectively blocked some of those shops from reopening as recovery commenced. Everyone hoped grocery stores would move in in their wake. And they have, on and—more often—off. Currently, about 20 groceries serve the 1.5 million residents of these neighborhoods. “People lambaste certain individuals and say, ‘Make good [food] choices!’ But first, they have to have a choice,” says Mary Lee, consultant at national advocacy organization PolicyLink, who worked on the liquor store mandates. Although the county hands out public health grades to outlets that sell food, she says they don’t take cleanliness or produce quality into account; instead, they grade only on the condition of prepared foods, freezer temperatures, and expiration dates on baby formula. The 200 parent and student members of the food justice committee are determined to close the gap in this oversight. To date, they’ve sent volunteers, unannounced, to preliminarily assess 15 stores. 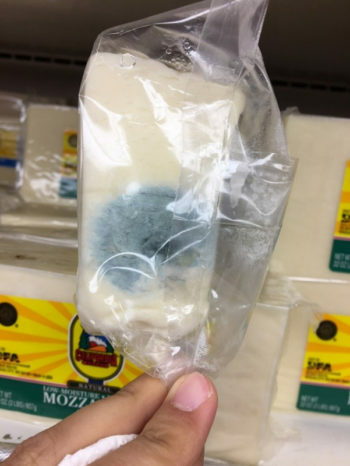 At some—even those that earned grades of at least 90 percent from the health department—they’ve found everything from flies in display cases and mold on cheese to high prices and lousy customer service. “There was no true accountability system, so we knew we had to develop our own,” Toledo says. UPAS approached Breanna Hawkins, policy director at the Los Angeles Food Policy Council, for her input; she’d previously helped a neighborhood food watch program come up with guidelines for retailers. 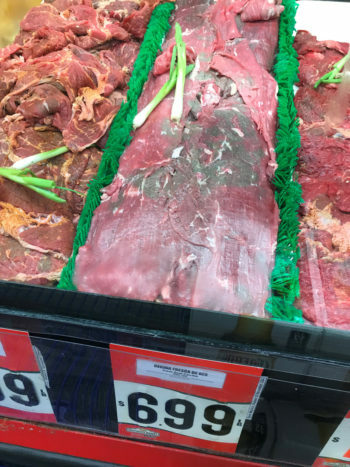 The group used Hawkins’ suggestions to craft a “report card” that prioritized things like offerings of un-expired meat and dairy and at least 10 kinds of produce in good condition, keeping floors mopped, and making sure parking lots were well-lit. Stores that made consistent improvements would be given a 30-day probation period in which to maintain or further improve conditions, en route to the Excellence seal. In return, UPAS would pledge to heavily promote deserving stores to its constituents and its 40 partner nonprofits and churches, announcing promotional shopping days on social media and touting the outlet as a good community partner deserving of their business. Toledo reports that many families continue to shop at the Inglewood Grocery Outlet, still pleased with its conditions and service. “It’s a way to say, not so much [that stores] are good- or bad-quality, but ones [people] want to contribute to,” says Lee, pointing out that Baldwin Park, about 15 miles east of East L.A., had success in getting corner stores to offer healthier foods with a program similar to the one UPAS is running. Food justice volunteers have also moved beyond their initial incognito assessments to meet with a few store managers, including at a Numero Uno market in South L.A. Volunteers made suggestions for improvements, many of which have been addressed—although as of press time the store remains on probation for an Excellence award. “Consistency is a real issue,” according to Toledo. Nevertheless, a Northgate Gonzalez Market in South L.A. has managed to improve enough to receive the seal, which UPAS will award next month. Toledo says that’s not their long-term goal. “We don’t pretend to be the grocery police,” she maintains. The group recently produced a white paper recommending that city officials implement and enforce more rigorous health regulations for groceries, according to the standards UPAS has devised for their report card; UPAS hopes they’ll recognize the importance of such oversight, and be compelled to act. For Hawkins, UPAS’s efforts—as well as those undertaken by other advocates over the decades, like bringing in farmers’ markets and community gardens and giving more support to corner stores trying to improve their offerings—are signs that positive, hopefully enduring changes are underway. This article was updated to correct the spelling of Breanna Hawkins’ last name, and her title as policy director.